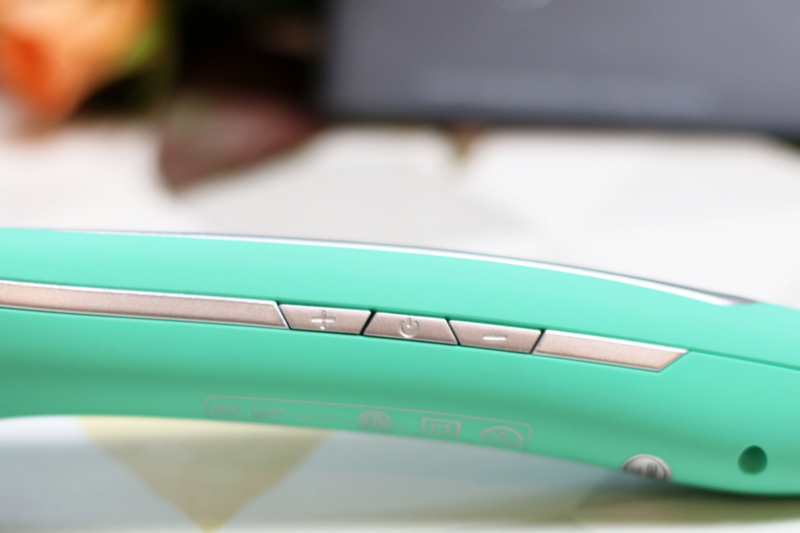 What electrical hair styling tools do you have stored in your beauty cupboard? I’ve got a straightener, crimper, curler (all of which I hardly use) and a hair dryer (which I always use). However, now I have a new exciting hair straightening brush from Irresistible Me to add to my collection! Irresistible Me is an American beauty brand that focuses on hair styling tools and gorgeous hair extensions. 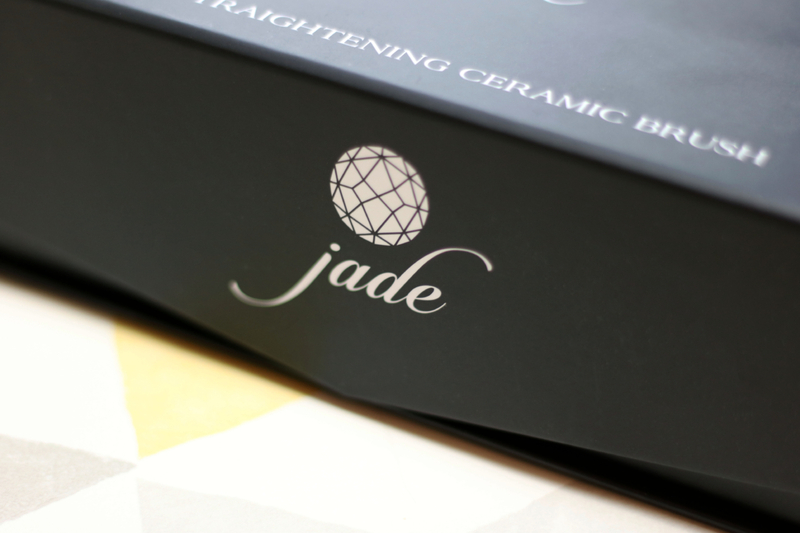 Their most popular tools include this Jade Hair Straightening Brush and the Diamond Hair Styler. 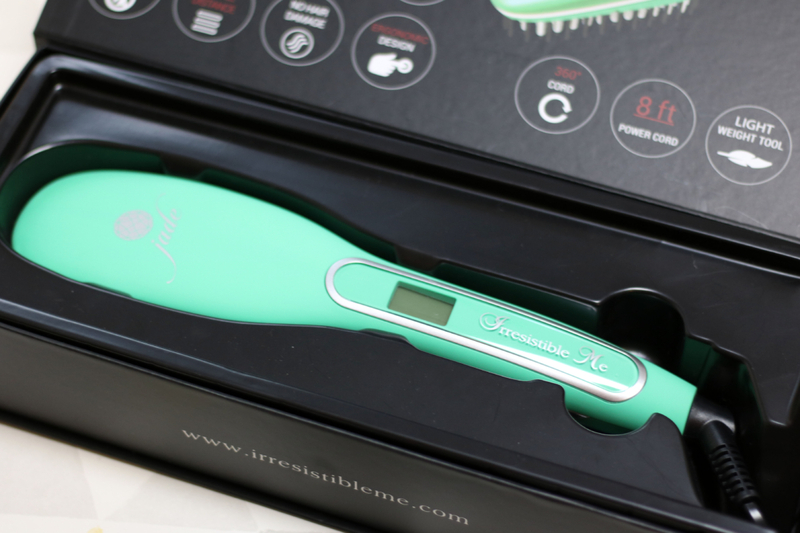 I’ve never tried an electrical hair brush before, but it’s something that recently started trending in the beauty world, so off course I had to try it out for myself! The first thing that stood out to me was the packaging! The box looks stunning and it’s really sturdy and nicely structured which makes this product look and feel very expensive although it’s relatively affordable. 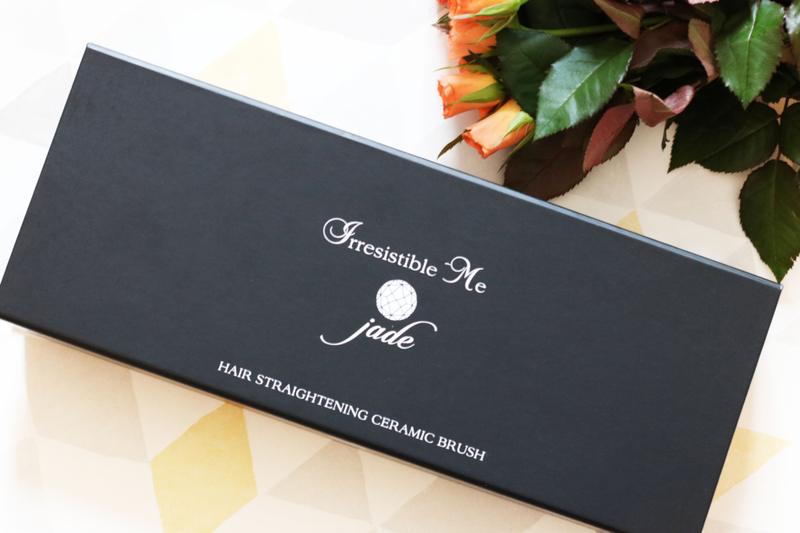 When it comes to beauty product packaging, I usually throw them away after unrwapping the products, but I think I’ll keep this one to store my new Irresistible Me Jade Hair Straightening Brush. It also comes with a little instruction booklet with information on safety, technology, storage and so on. 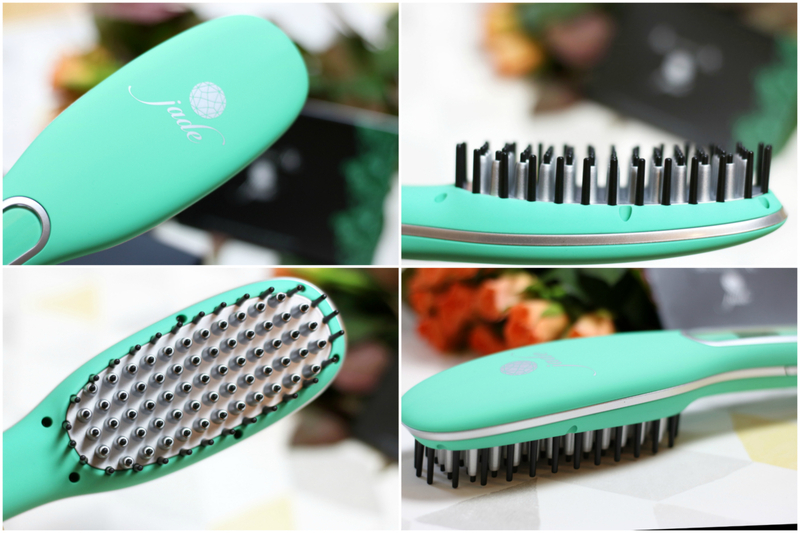 The brush itself looks really sleek and the light green casing is a rather fun colour for a styling tool! The brush head itself looks quite intimidating at first sight, but it’s essentially a normal brush with a heated ceramic base. The mixture of the ceramic base and plastic tip makes sure that the heat covers the largest surface area and it ensures that the heated ceramic part never touches your scalp or skin! I was expecting to feel the heat on my head whilst using this brush, but even at 200°C the only thing that felt warm was my hair after it’s been brushed. Otherwise it felt like using any other brush, but slightly heavier to hold. Because of the plastic bristle tips, it’s quite safe to leave the brush face up (and turned off) after usage. The user interface is as simple as it can be! There are three buttons: on/off, temperature up and temperature down. 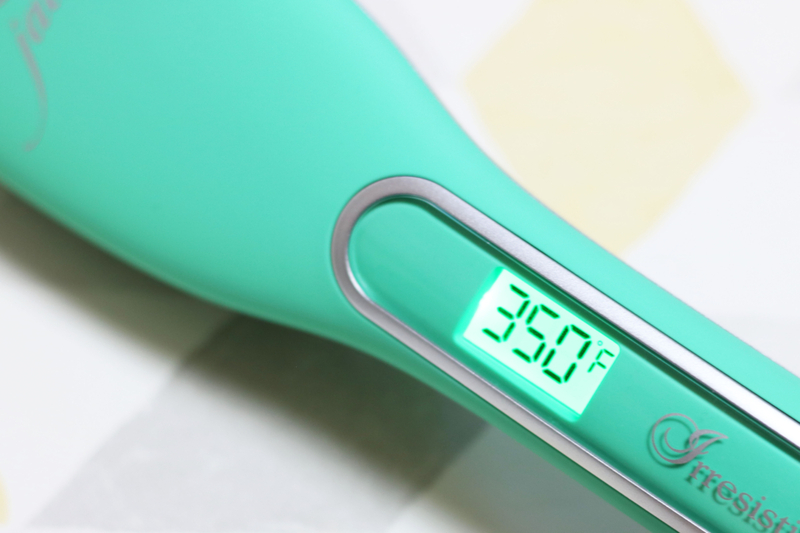 The temperature settings range from 270℉ (130℃) to 450℉ (230℃). As Irresistible Me is an US brand, the temperature is displayed in Fahrenheit and there’s no way of changing it to Celsius. You can easily change the display temperature from Fahrenheit to Celsius by pressing the plus and minus button at the same time! Another thing that you need (if you live in the UK and Europe) is an adapter to make it work. It takes the brush around 30 seconds to warm up to around 200℃, but much longer to get all the way up to 230℃. 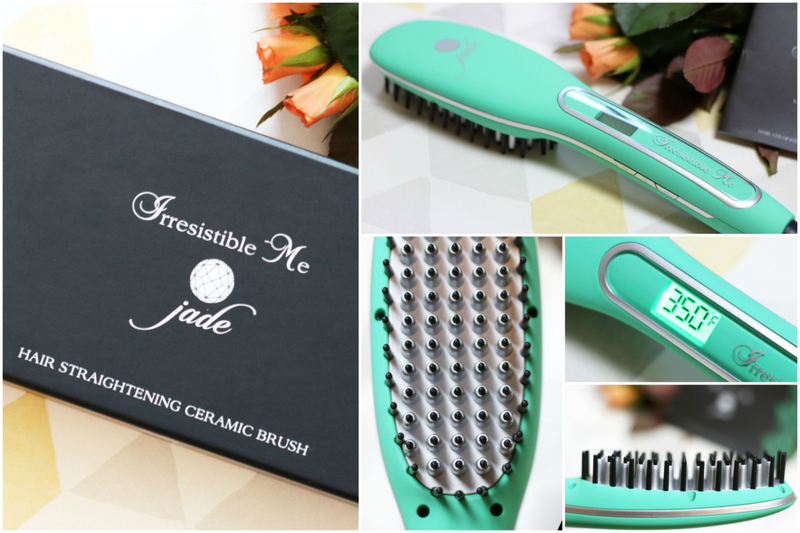 Irresistible Me Jade Hair Straightening Brush is a great styling product for bad hair days, especially if you want a real quick fix. 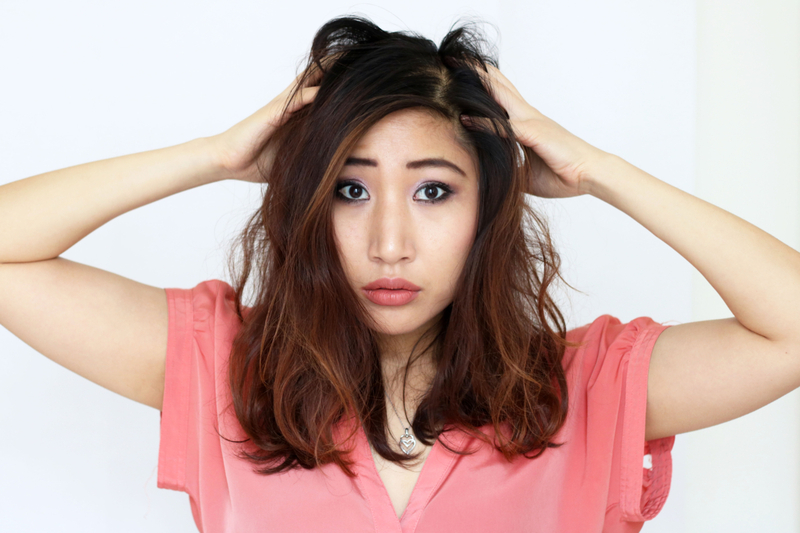 It takes minutes to go from messy curly hair to straight hair. Because my hair is fairly straight to start with, the effect isn’t that dramatic, but there’s definitely some difference. I styled my hair the previous day, so I woke up with really bad messy hair that was sticking out all over the place. But Irresistible Me Jade brush really helped to straightening out this mess which would have taken longer to achieve with an ordinary brush. 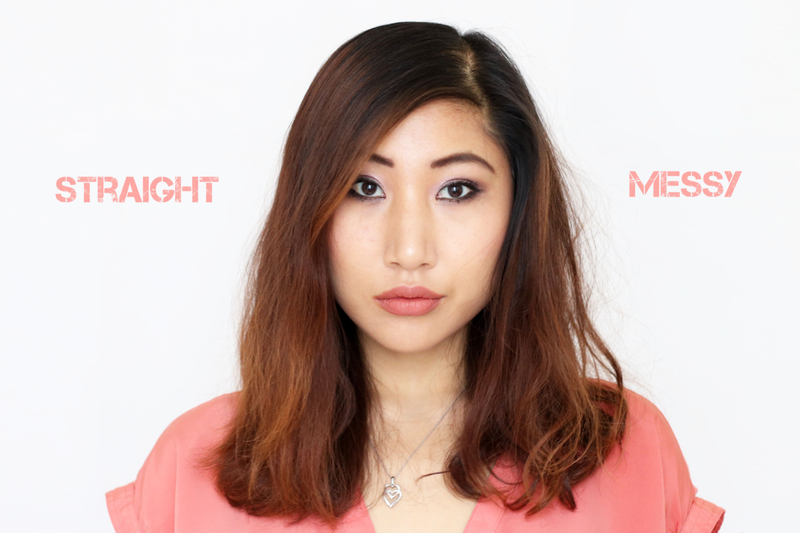 The final look isn’t as dead straight as what you can achieve with a proper straightener, but it’s the sort of effect that I want to achieve because I’m not a fan of poker straight hair on me. 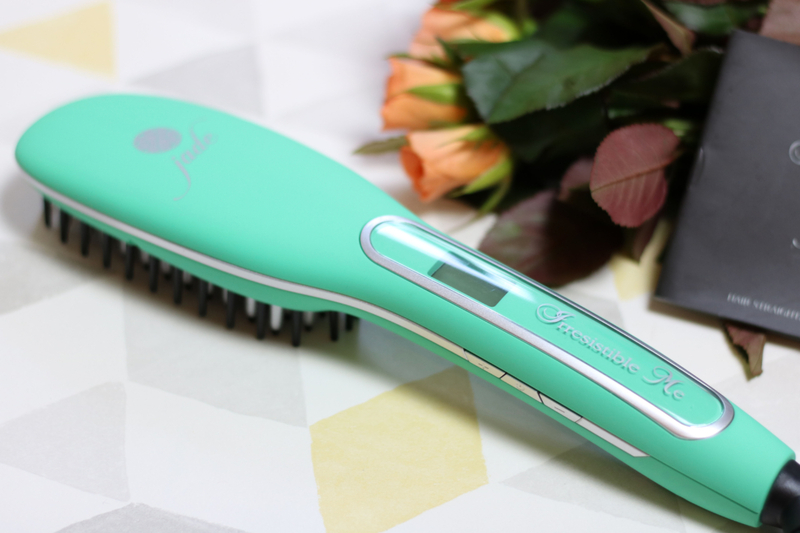 This brush keeps the volume whilst giving my hair the flowy brushed out effect! I don’t use hair styling tools that often, but I must admit that I’ll keep using this hair brush every now and then because it’s so easy to use and it takes no time to get nice hair. The effect lasts for hours, but even longer with styling products. 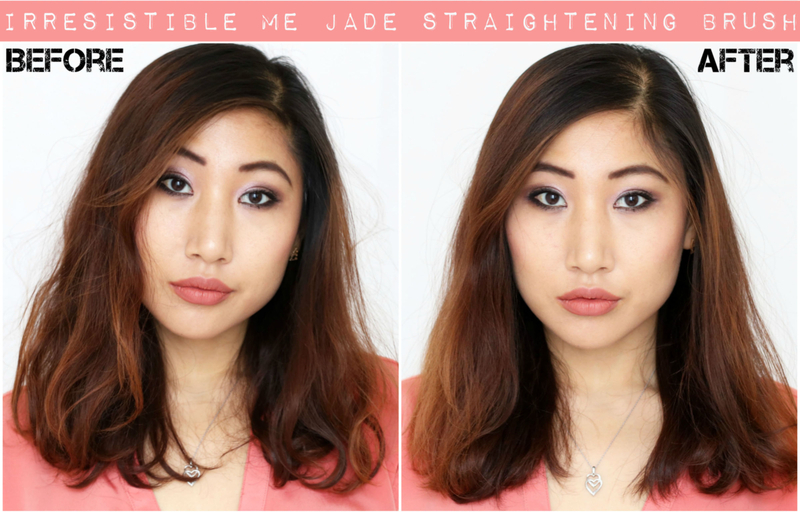 Have you tried anything from Irresistible Me before or a hair straightening brush? *Disclaimer: This product was sent to me for review purposes, but the views are 100% my own.